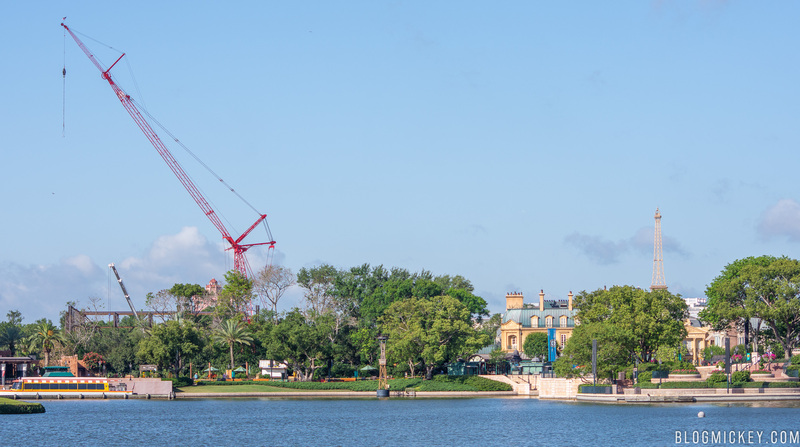 The show building for the upcoming Ratatouille attraction at Epcot is now visible from World Showcase in Epcot. 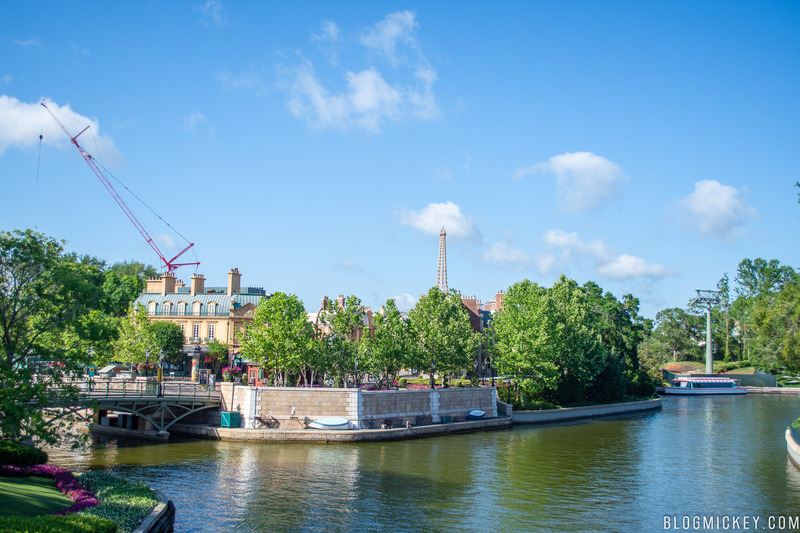 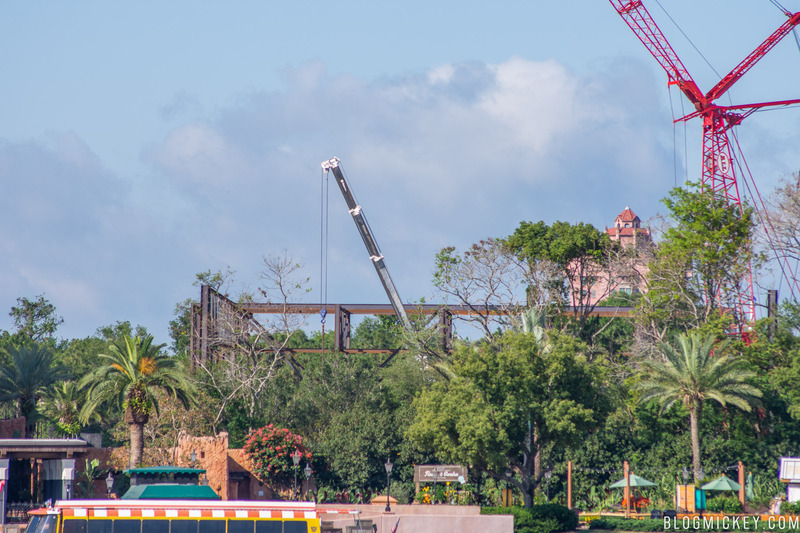 A view across World Showcase Lagoon shows steel in the expansion plot between the Morocco and France pavilions. 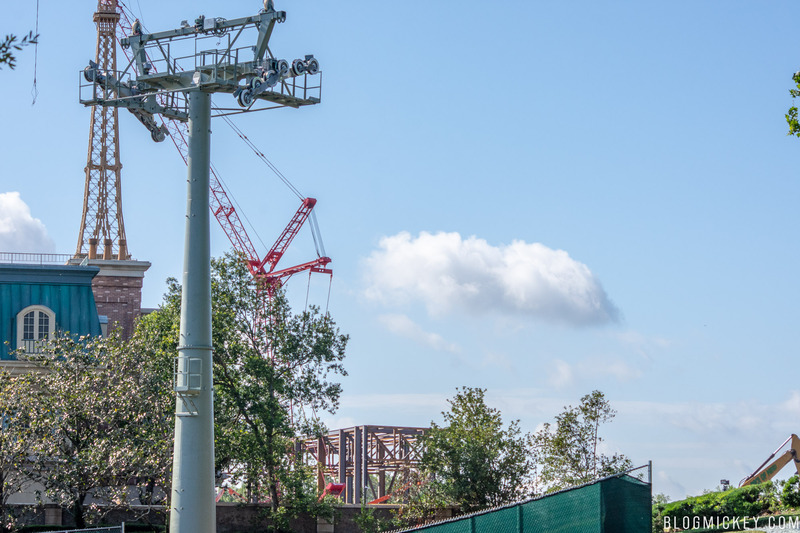 Check out the permit for the project for a better understanding of the location. 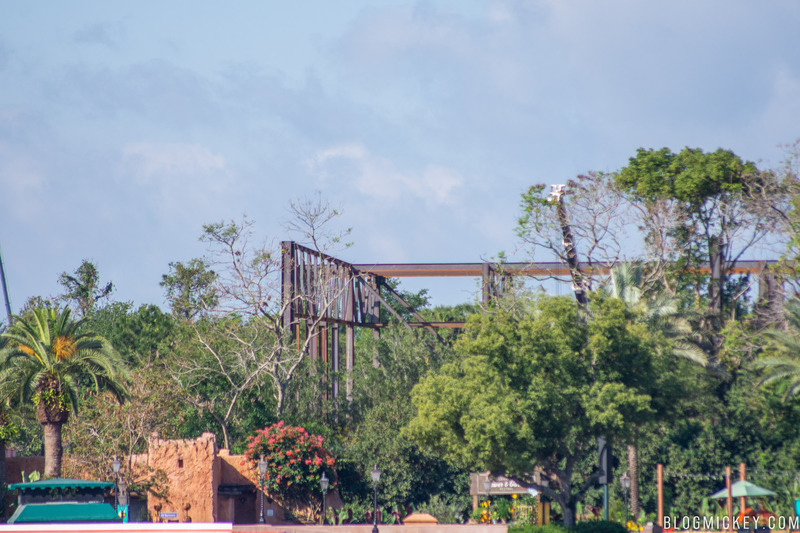 Adjusting our angle slightly shows that a new wall is being erected on the left side of the existing structure. 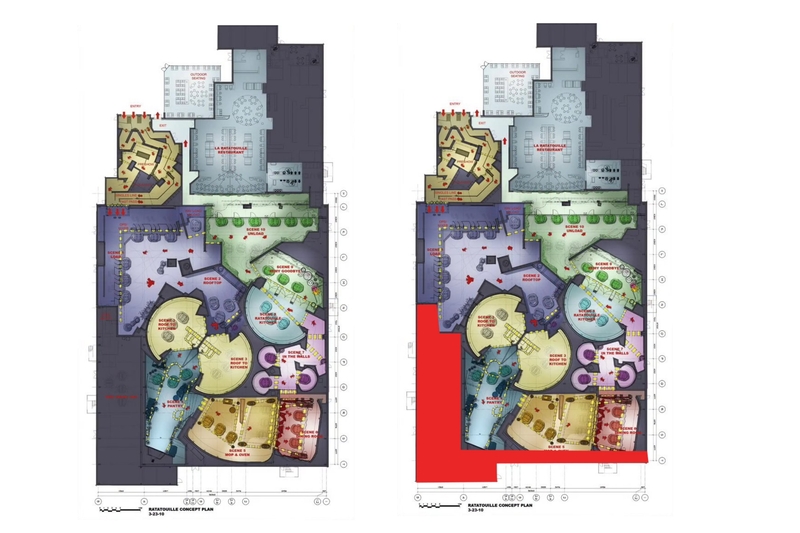 This excellent blueprint of the Paris version of this attraction shows that the work currently being done is on the maintenance bay and back wall. 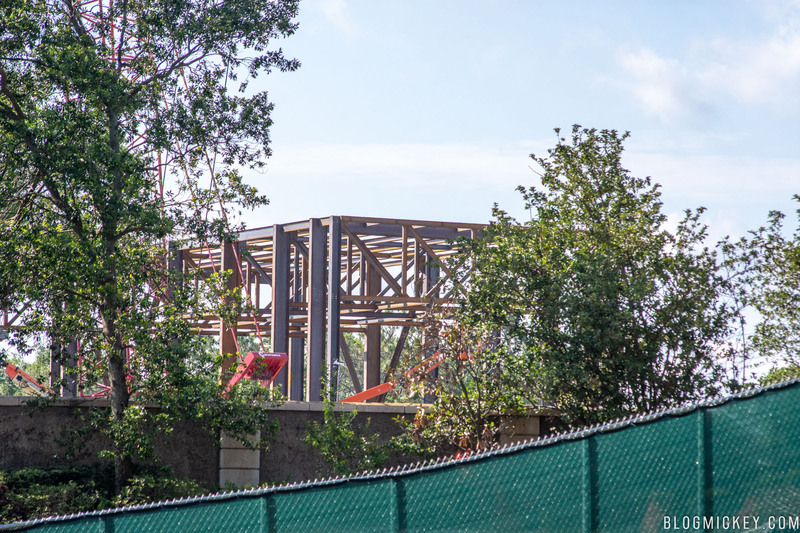 We’ve highlighted the portion of the work currently being done in red. 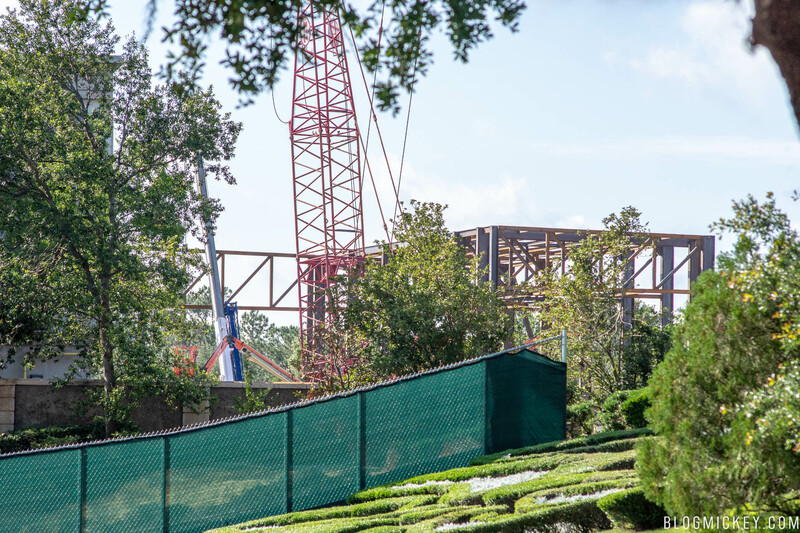 As we get closer to the France pavilion, the view disappears, but the large crane looms. 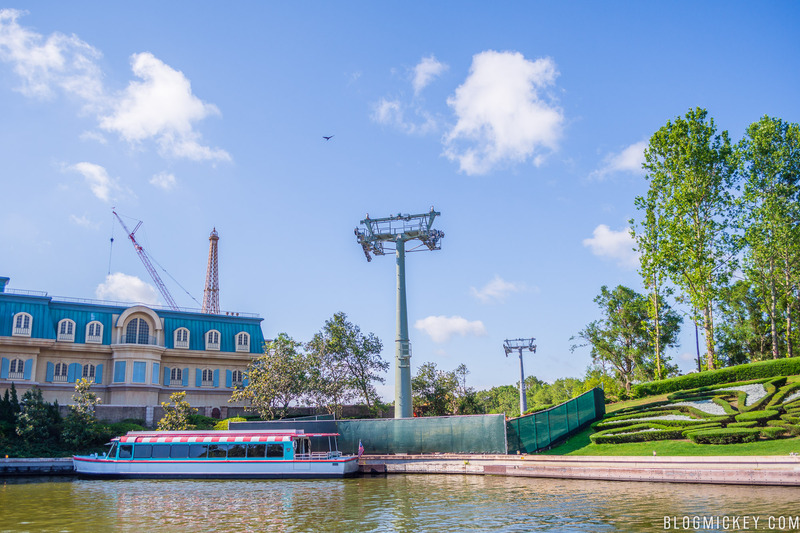 A wider look shows a Disney Skyliner tower installed along the waterfront. 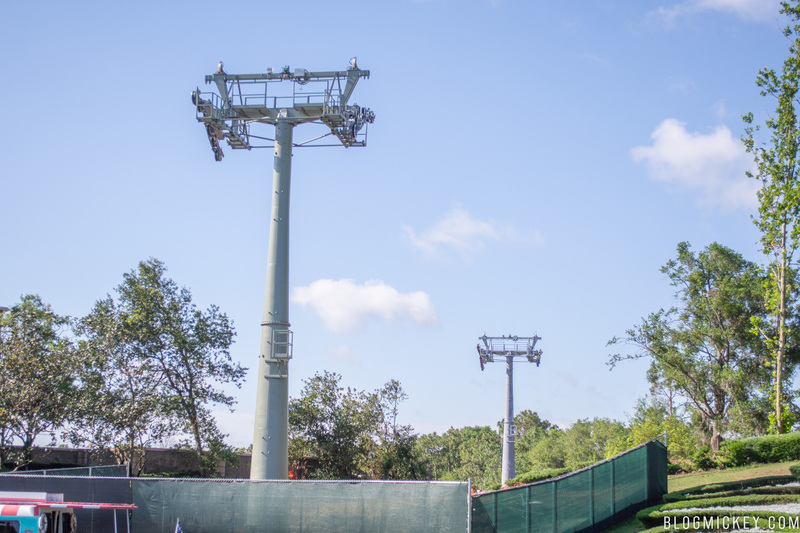 Exiting Epcot at the International Gateway gives us a good view of the Skyliner towers and an even better look at the Ratatouille show building. 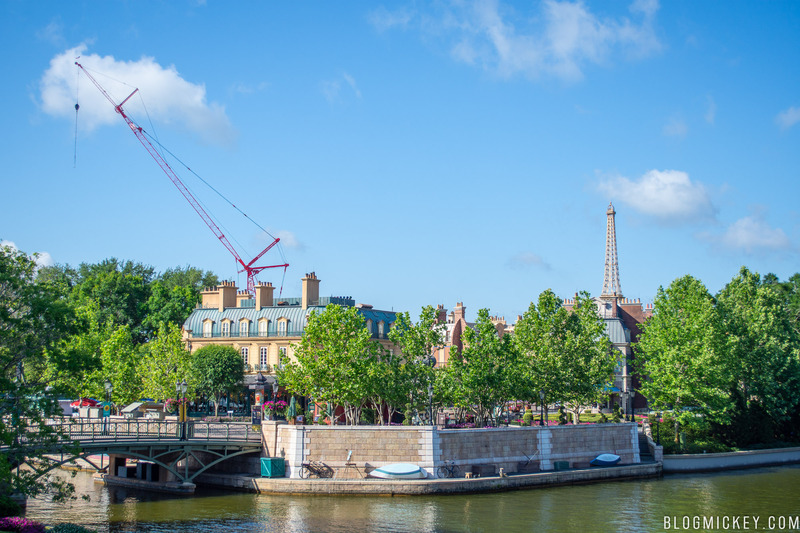 The Ratatouille attraction will debut by 2021.